One of the few, and there are very few, silver linings to commuting are the food court like atmospheres that have evolved at Grand Central and Penn Station. This week brings not one, but two wonderful additions the hubs, one for each. 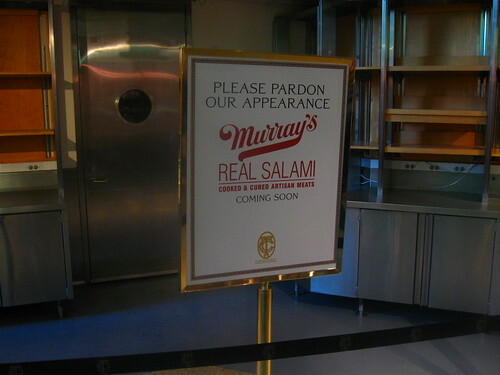 Just the other day, the news broke that Murray's Cheese was opening a second area in Grand Central Market, Murray's Real Salami. Interested in knowing where this separate area was going to be, I peeked into the market yesterday. Murray's Real Salami will be sandwiched between the Corrado and Wild Edibles, on the Lexington Avenue side of the the market. 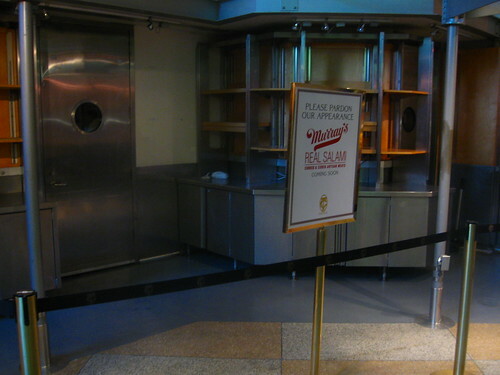 No word on when this will open, but whenever it does, I will welcome with open arms. Then, later on, I was speaking on the phone, looking up at the big board above the central corridor in Penn, when I turned. Blondie, whispering: They're bringing back Krispy Kreme. 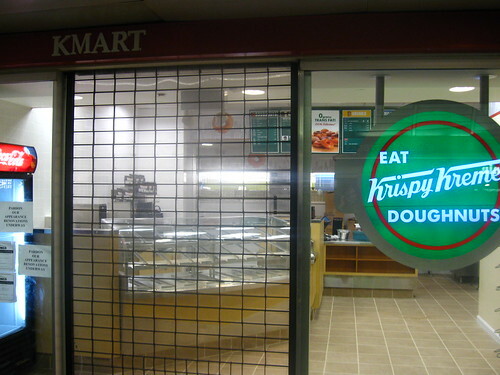 There will be a new Krispy Kreme. Next to Kmart. 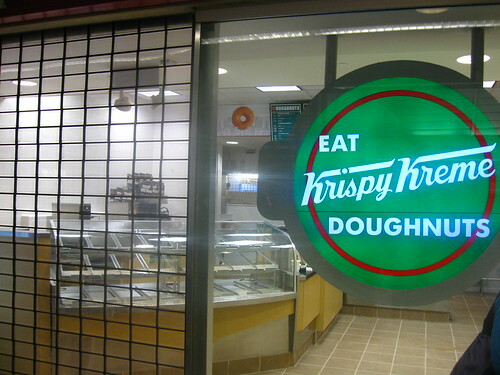 As we all know, Krispy Kreme over expanded, and then shrunk to just one real outpost in NYC, also in Penn Station, on the Amtrak side. Could more be following this one? Will I have more doughnuts? I will be on high alert! !